What is Google Optimize? & Why Should You Use Google Optimize? Home / All Posts / What is Google Optimize? & Why Should You Use Google Optimize? A/B testing is the holy grail of digital marketing. And last year, Google entered the competitive space that has established players like Optimizely and Visual Website Optimizer already. So, what is about and how does it stack up against leaders in the space? 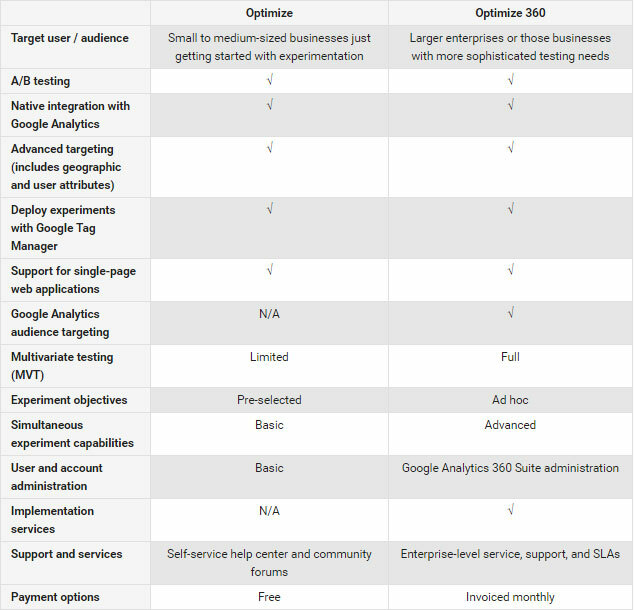 Optimize is the free version of Optimize 360 – Google’s enterprise solution to A/B testing. Since it was launched just last year, Optimize is still in beta mode. You will need an invite to start using the testing tool. Since it is a free tool, there are limitations in place when compared to Optimize 360. For instance, Optimize allows only limited multivariate testing and pre-selected experiment objectives. That said, it still features rich enough to be of use. You can deploy experiments using Google Tag Manager and use advanced targeting options like geolocation and user personas. You can check Google for a detailed comparison of Optimize vs. Optimize 360. If you are a medium to a large organization with an established digital marketing plan already, Google Optimize might not fit your needs. However, if you are a startup, a small business, or an organization that’s just getting started with more extensive digital marketing strategy, Optimize can be a great beginning point. While it does not allow a lot of flexibility when it comes to experimenting objectives, the available options are extensive enough for a small organization. In fact, the free tool is perfect for those who are just getting started with A/B testing as part of their digital marketing plan. Most A/B testing tools in the market cost upwards of $500 a month. If you don’t have an experienced team, A/B testing can get really expensive really fast. a. Interface: In terms of interface, all three are petty clean and easy to navigate. However, if you have to pick a winner, it should be VWO. It has the most minimal interface. While that may mean a few extra mouse clicks to perform certain tasks, it is really simple to use, especially for beginners. However, if you are using some Google products already, you may find the familiarity of Google Optimize more comforting. c. Integration: All three platforms support integration with third-party software. However, Google Analytics is perhaps the most used analytics software out there. And that’s where Google Optimize takes the cake. Optimize allows native integration with Google Analytics and Google Tag Manager. There are no lengthy configurations required, which is not the case with Optimizely or VWO. You need some amount of technical knowledge to integrate either Optimizely or VWO with Google products. Even then, the integration process might take some time. Optimize allows you to be up and running in no time. 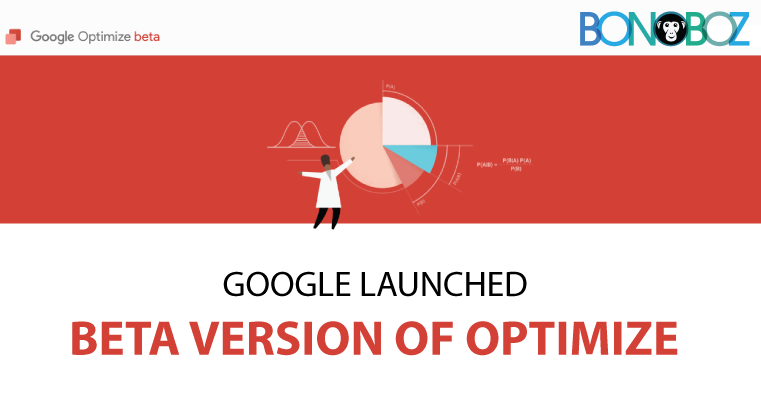 If you are just getting started with A/B testing and conversion rate optimization, Google Optimize is your best choice. It also works for people who don’t have a technical team on board yet, and still, want to utilize the power of A/B testing and Google Analytics combined.